For a girl who loves her nails as much as I do, winter time is the season that I dread the most. My once smooth nails become dried up and lose the luster that gets me so many compliments from friends. When I thought there was no hope to hold onto, I started reading about the best nail strengtheners. So many brands promised to give me back the strong and hard nails I had during the warmer months all year round. If you are like me, keep reading and save yourself the hours of time and testing I spent to find the best pick. I am very thorough in this post and I realize that not everyone has the time to read it. Because of this, I will share my favorite nail strengthener and you can get all the details below if you have time. I went with the OPI Nail Envy Nail Strengthener (click here to see them on amazon). It is a great deal price wise and does exactly as promised unlike the many fakers in this industry. I use this product every time the weather gets cold and it never lets my nails down. This nail strengthener was a bit more expensive than the others on this list but you get what you pay for. You get to pick from ten different shades if the clear polish starts to bore you. There two different formulas to try. The first is a matte finish which is great for girls who consider themselves to be modern and chic. The second is glossy. Most girls love this finish the most and it is the one I always buy. The ingredients used to make this strengthener are calcium and hydrolyzed wheat protein. They both make your nails hard and give them the protection they need to keep looking good. OPI is great for me because I was and still am a prolific nail-biter. Can’t recommend this brand enough and I use it every week. Quimica has been around for years and is well known by those who adore acrylic nails. When using it, you need to be patient and apply it for a few weeks before it starts to show results. Put it on your nails one coat at a time and give it the time it needs to work. 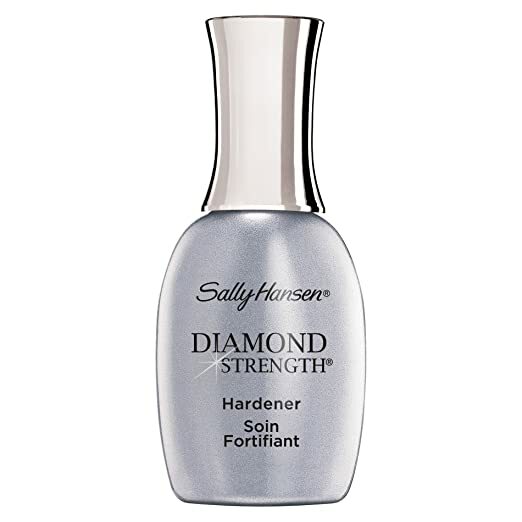 I recommend this nail strengthener for anyone on a budget because it is median priced. Not to mention your nails will look like you got an expensive manicure from a salon even though you didn’t. By testing Nailtiques, I was able to grow my nails within a months’ time. They come with protein and hydrolyzed Keratin like the Quimica brand did. You can get the best results by applying it every day even though the instructions say every other day. This formula is like food and sustenance for your nails. They crave it to be healthy and strong. Nailtique is popular is the community and have earned their trust. Their bottle comes in 3 unique sizes so please be aware of this before buying it. Last on my list is the Gelish Vitagel Recovery Nail Strengthener. They created a formula that fixes nails that are not strong. By using it only once, you will be good to go for at least 3 weeks. Clearing the formula off of your nails is not difficult. All you have to do is dip them in acetone polish remover for a period of 10 minutes. 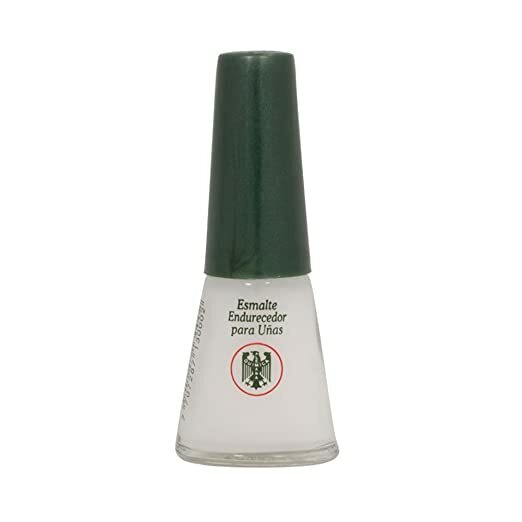 This nail strengthener will make your nails look like you walked out of a salon. With their formaldehyde free recipe, you don’t put yourself at risk of getting cancer. The price point may be on the steeper end but you will not be using it much so it will last you a long time. Having your nails look their best doesn’t come without a bit of preparation and effort. Part of this plan involves finding the best nail strengthener possible. The task is not easy because there are different types available and you need to find the one that is best for you. I hope this little mini guide I put together helps. I put everything I learned from testing so many out on my own. Take into consideration the features below before you make any buying decisions. There are nail strengtheners on the market designed for any issue you are dealing with. Girls that have weak nails and want them stronger should consider gel formulas. On the other hand, those with dried up nails need a formula that hydrates them. Cream type formulas are perfect for this and are the best hydrators. Before making a purchase, I look at the ingredient list and try to find what I am looking for. Always make sure they include aloe Vera, vitamin E and proteins that will help your weak nails. In the past, a lot of these types of products came with an ingredient called formaldehyde. It is toxic and can cause cancer so make sure to buy a nail strengthener that doesn’t have it. The two kinds of nail strengtheners you can buy are either hydrators or hardeners. Within the hardener category, you also have reinforcing hardeners and cross-linking hardeners. If you are not a patient person and need results that are instantaneous, go with a hardener. Results can take a while with hydrators because their sole purpose is to make you have pliable nails. Hydrators have a creamy texture that you can rub on your nails on a consistent basis to see the best results. Price range of nail strengtheners can vary anywhere from very cheap to kind of expensive. It’s price point depends on what ingredients the formula has and also goes by the brand. I always go on several websites to compare prices and see who has the best deal. Some sites even agree to match the lowest price as long as you can show proof. If you are the owner of a salon, I suggest you go and buy wholesale. Some ingredients that make strengthener expensive are micro-diamonds and titanium. I think is best to avoid these and find ones that come with cheaper but all natural ingredients. I prefer nail hardeners because most of them come with brushes you can use to apply the formula. Using a hydrator is not easy because they come in jar shaped bottles that don’t include brushes. Getting even a little bit on your skin can burn it so you must be extra careful. Whether you go with a larger sized bottle or a smaller sized one depends on usage instructions. If I buy a hydrator, I always buy one in a tube because I spend a lot of time on the road. It is perfect for a traveler who needs packaging that easy to carry from place to place. Don’t decide on your own why you have weak and dry nails. Go consult with a doctor first who me be able to tell whether its genetic or not. Certain illnesses can also lead issues with your nails. Some nails strengtheners have very powerful ingredients so you should not go overboard. Listen to the instructions to a tee don’t apply it more than recommended. Cleanse your skin immediately if you feel any kind of burning sensations after usage. You can corrupt your skin in a serious manner if you don’t. Extending your use of hardeners can lead to the opposite of the results you seek. Instead of shiny nails with a strong surface, you will end up with weak and cracked ones. Don’t forget that Formaldehyde is the enemy and you should not use anything on your nails that has it. It is notorious for drying up our nails and making them look dull. Everyone’s nails react differently after applying formula on them. If you see anything strange on your nails after, stop using it and go to a doctor if necessary. No matter what product you buy, read as many reviews written by real customers as you can. Whenever I buy anything with high ratigs from customers, I am usually okay. Using nail strengtheners isn’t enough to keep your nails strong and pretty. you must also make an effort to protect them and use gloves when needed. Chores like washing dishes should always be done with the proper equipment. Before going anywhere sunny, never forget to apply sun lotion on both your skin and your nails. This keeps them full of life and healthy. I hope all these tips helped you and I am confident that I chose the best nail hardeners for you. If you don’t have more time to read other articles stick with my favorite choice. The OPI Nail Envy Nail Strengthener (click here to see them on amazon) did not disappoint. I am confident that you will love it as much as I do. If it doesn’t there are lots of other choices that are priced well. Experiment with a few and you will learn a lot. The post Best Nail Strengtheners for Girls With Brittle Nails appeared first on Beauty Cinch – No Nonsense Beauty Tips. Out of all the skin problems which exist, acne is the one that affects the most people. There are millions of acne sufferers throughout the globe. Acne can target any age group too, whether you’re a teenager or adult. Acne breakouts will occur occasionally in most people, while others might either have chronic severe acne or mild acne at different points in their lives. Acne does not generally cause any physical pain, but it can cause tremendous emotional pain from the embarrassment that sufferers may feel about it. There could be numerous reasons as to why someone might get acne. As for treatment, there are natural remedies and then there are synthetic ones. The symptoms of acne will typically be tiny red pimples which form on the skin. This is the result of the skin’s pores being infected with bacteria. These are usually small infections which occur when the glands produce too much oil sebum. All this excess oil clogs up the pores of the skin which then blocks bacteria and dirt from getting out. Once that happens, the skin becomes inflamed and then those red bumps on top of the skin will be visible. Your body might produce too much sebum because of a hormonal imbalance or physical change. If the body does not have enough progestin but has too much testosterone, this would be a hormonal imbalance which would result in the overproduction of oil. Oily skin is a sign of a hormonal imbalance. If you can figure out a way to balance your hormonal levels, then your skin’s oil production will be balanced. After that, the visible signs of acne should be reduced too. The extract of saw palmetto has an abundance of immune system enhancers, plant sterols, and healthy fats. For this reason, many people like to use it as an alternative medication for treating acne. Saw palmetto is one of the original acne treatments. For hundreds of years, indigenous people like the Native Americans used saw palmetto as an antiseptic for the skin and as a tonic for various health issues. More people with hormonal acne are using saw palmetto as a treatment because it is an anti-androgenic compound. When there is too much testosterone being produced in the body, this compound reverses the effects of it. If you’re interested in treating your acne with saw palmetto, then try consuming saw palmetto supplements which are combined with zinc. You can also purchase this supplement as a topical cream too. Just be sure the main ingredient is saw palmetto. If you don’t like taking saw palmetto supplements in pill form, another way to consume it orally is to brew up some water or tea and put the saw palmetto extract into the liquid. Mix it around in there and then consume. It is recommended that you consume up to 160 milligrams of saw palmetto extract per day if you want to treat acne. Before using saw palmetto as an acne treatment, you should talk with your doctor first. This is very important if you are currently taking other medications because saw palmetto might cause negative side effects if you are. People should not take saw palmetto supplements if they’re pregnant, dealing with blood coagulation issues, or going to have surgery soon. The reason being is that saw palmetto has an effect when it comes to blood clotting. You may experience other mediocre side effects too, such as feeling lightheaded or having pains in your abdominal area. For decades now, people with mild cases of acne have been using apple cider vinegar as a treatment for it. Apple cider vinegar works well because of its antiseptic properties which fight against acne. To consume this treatment, take 1 tbsp. of apple cider vinegar and mix it with 3 tbsp. of water. This will form a topical solution which you can apply directly to the skin. Leave it there so that it can dry. Honey is a popular natural skin treatment. By mixing together cinnamon and honey, you can create a facial mask which balances the skin’s pH levels. All you need is 2 tsp. of honey and 1 tsp. of cinnamon. The result will be a facial mask which serves as a strong acne treatment. Another way to make a facial mask which fights acne is to use egg whites. When you put egg whites on your skin, it has the power to pull oil out from it. This will leave your skin looking tightened and fresh. To get started, take 2 or 3 eggs and whip them together until they’re really foamy. Put the solution on your facial skin and leave it there for 20 minutes. Wash the solution off and then you should see a totally clean looking face. The post Saw Palmetto for Acne appeared first on Beauty Cinch – No Nonsense Beauty Tips. A lot of body wash and soap manufacturers may claim their products are antibacterial when they are not. For example, when it comes to antibacterial soaps, some of them will not prevent microbes which cause diseases from infecting you. However, many of these soaps will give you bacterial resistance and keep you safe from bacterial skin infections. This information is based on over 30 hours of researching PubMed studies as well as talking with some of the most reputable beauticians and dermatologists in the industry. Therefore, you need to be careful the next time you purchase any antibacterial body wash or soap. Of course, most people won’t know which products are good and which ones are bad. That is why we have done the research for you and listed the products which won’t put your health or skin at risk. Out of all the antibacterial body washes, the best one is Purely Northwest’s Antifungal Soap with Tea Tree Oil. It contains natural ingredients and can treat virtually every skin problem that you have. One of its strongest ingredients is Tea Tree Oil. This is an oil known for protecting the skin against a variety of conditions, such as nail fungus, body odor, and athlete’s foot. We recommend this antibacterial body wash specifically to all men out there. Fungi usually form on the skin when you’re using the same gym equipment as other people. This body wash will protect your skin from the fungi. Also, this product will cleanse and hydrate your skin so that it is no longer dry. It contains a variety of skin conditioning ingredients such as Aloe Vera. This will leave your skin feeling soft and smooth. The product’s solution is a concentrated formula so that you will get 100% of the benefits from these ingredients. You can use it on your skin every day including your feet. It is a safe product. Purely Northwest has an excellent reputation for its fantastic customer service. If you are not happy with this antibacterial soap, you can take advantage of their money back guarantee within the first 45 days after you purchase the product. Pros: Adds moisture to your skin, stronger nails, reportedly superior to OTC creams, all benefit claims are true. Reduces irritation. The next time you get a piercing done, Provon’s Medicated Lotion Soap is the best choice out of any antibacterial soap. The Association of Professional Piercers even recommends it too. You can use this soap to prevent infection because of its vast amount of antimicrobial properties. It is also perfect for all skin types. This medicated soap contains 0.3% chloroxylenol which helps the pierced skin heal itself. There are also a lot of skin conditioners in this soap to make sure that it is gentle and non-irritating. Only quality active ingredients were used to create this soap. The soap is recommended for both men and women to use. It will leave you with a clean aroma that does not smell like medicine or perfume. This soap does not foam up either, so it can clean delicate areas correctly. The Medicated Lotion Soap gives you much faster results than other soaps. While most other cleaning solution products can take 3-4 weeks before your pierced skin infection is healed, this one takes just two days. You can use this soap for more than just cleansing your pierced skin. It works great as a hand soap that you use every day to keep moisture in your hands. Dial for Men’s Odor Armor Antibacterial Soap creates a protective barrier on the skin that keeps out dirt and gently cleanses it. It then leaves a refreshingly clean scent while your body feels completely energized. Many artificial fragrances have scents that give you headaches but not this one. The solution of this soap is formulated to neutralize odors by removing all the dirt and oil that lies deep within your skin. At the same time, it will never dry out your skin or cause peeling. Even though this particular antibacterial soap is marketed to men, it is also okay for women to use it too. People with acne on their body will benefit from this soap, but they can be helped even more with the liquid version of this solution. As far as aesthetics go, this antibacterial soap is not the most attractive. It has a black and grey color to it, but so what? It does a great job as a lather, and that should be all that matters. The only thing is that there is a fragrance ingredient in this soap. So, if you have sensitive skin, then this soap might not be the best one for you. There are no known cases of skin irritation reported as of yet. Aromavita’s Antibacterial Oregano Soap has antibiotic, antiviral, and antibacterial properties to it. This means it is excellent for treating or preventing folliculitis. It is also useful as a lather for the skin. Once you use it, your skin will feel smooth and will be left with a mild scent. Men and women can both use this soap with natural ingredients in it. Approximately 3% of the solution is made of oregano oil. This is the ingredient that treats many skin conditions like folliculitis when it is topically applied. Other skin conditions that oregano soap treats are allergies, eczema, and insect bites. You need to leave the solution on your affected area for a minimum of 3 minutes to get the full treatment. If you are looking for a completely natural antibacterial soap with no side effects and an ability to treat a lot of skin conditions, then this one is the best. You may feel a tingling sensation after applying the solution, due to the oregano oil. Those with sensitive skin may not like this solution, even though it is all-natural. There have been no reports of any allergic reactions, though. Pros: Treats skin blemishes, natural healing properties, treats many skin conditions and you can easily kill bacteria. Dr. Bronner’s’ Pure Castile Bar Soap uses Tea Tree Oil as its main ingredient. This makes it a compelling antibacterial soap as well as an antiviral and antimicrobial soap. Tea Tree Oil has been used for hundreds of years for this very purpose. If you have a lot of acne or dandruff, Pure Castile Bar Soap will help treat these conditions. While applying the soap, you will notice quite a bit of lather and a woodsy aroma too. The hemp oil ingredient in the soap will help leave your skin with a soft and smooth feel to it. The bar of soap is entirely white. If you accidentally get soap in your eye, there shouldn’t be any burning feeling. This soap contains natural ingredients so that you won’t experience many irritations. Anyone who purchases this soap will be helping the Kenyans and Samoans too. Pure Castile Bar Soap is an eco-friendly product. Even the wraps that the soap comes in are made entirely from recycled materials. Pros: Nice smell, great as a makeup brush cleaner, no residue left behind. Helps prevent body acne. Are Antibacterial Soaps a Good Choice? There seems to be a lot of antibacterial soap products on the market these days. Most consumers are out looking for the word “antibacterial” when they shop for cleaning products now. However, these cleanser products are not truly effective at destroying bacteria and germs the way they claim without getting rid of essential oils. Soap bars are created when fatty acids are combined with sodium hydroxide. Rather than mixing with the triglycerides, the fatty acids and the hydroxide ions combine. This combination forms a salt mixture that we call “soap.” The function of soap is to attach itself to dirt, bacteria, and oil, as well as to lower water surface tension. The reason why the soap can do this is that it is a water-repellent and water-binding solution. The hydrophobic (water-binding) property binds to additional hydrophobic molecules. When dirt attaches itself to the fatty acids, it gets stuck within the droplets of water. This allows you to wash away this dirt easily. Just remember that bacteria could learn to become resistant to any particular agent who wants to kill them. Don’t assume all forms of bacteria are your enemy because there are good bacteria in our body that protects us from harmful bacteria that tries to get inside. However, most diseases that people get are viral, which means that antibacterial soaps cannot keep you safe from them. Therefore, antibacterial hand soap and traditional hand soap are about equal in preventing a bacterial infection. Both women and men are attracted to antibacterial soaps in this day and age because of all the claims of the packaging that it can destroy and prevent bacteria. If you are one of these people and you want the best antibacterial soap product, then try going with Purely Northwest’s Antifungal Soap with Tea Tree Oil. It is formulated for people who are active and is gentle on the skin. You will get an array of skin defense properties from this treatment, such as antifungal, antiseptic, and antibacterial. This concentrated formula can be used every day safely. The only downside is the soap is rather expensive. But if you don’t mind spending the extra money on a bar of soap that makes your body feel refreshed, then go for it. The post The 5 Best Antibacterial Soaps And Body Washes You Will Love appeared first on Beauty Cinch – No Nonsense Beauty Tips. If you desire to have a smooth, flawless skin I suggest you to avoid using beauty cosmetics and switch to drinking juices. Juices that are freshly made from raw fruits and vegetables has a beneficial effect on the health of your skin. This might be a long-term process, but to have a perfect skin you have to make it religiously, the process starts with the liver. You should know that the liver is an essential organ of our body, why? The substances in our bloodstream are being utilized by the liver, it executes 300 critical functions in metabolism. Did you know that the liver can be exhausted? At a time an American body has 700 contaminants from the chemicals that pollutes our surrounding, food, and water. With this, the liver tries to detoxify the bloodstream thus it disbands your skin. Some of the nourishments that are needed for the skin are now changed with more unknown substances and toxic compounds. As the body tries to eliminate these substances, inflammatory skin disease (i.e. dermatitis, eczema, psoriasis, adult acne, liver spots and rashers, dull and dry skin, and premature aging) rises. Although hormonal imbalance can contribute to skin problems, the skin problems will be gone when the organ is not over exhausted. A healthy skin means a healthy liver. To help our liver recuperate discipline yourself with more water, eliminate processed foods on your diet, less alcohol intake, and regular healthy exercise. Also, raw fresh juices can help your liver recover. There is a big difference between a commercial juice and homemade fresh juices, the vitamins and nutrients are taken out of the commercial juices. Commercial juices are made out of simple sugars just as a cola has, these juices can be burdensome to the liver and it is not healthy for the skin. Meanwhile, fresh juices from raw vegetables and fruits are the best kind of juices for your liver and skin. Fresh juices cleanses our cell, regenerates our liver, and heals our skin. These juices are full of nourishments— nutrients, vitamins, and minerals for the skin. Alpha and beta-carotene act as antioxidants that protect the skin from skin inflammation and collagen breakdown that can result in wrinkles and skin aging. Carrots, kale, bok choy and collard greens are sources of carotenoids. Phytonutrients have a beneficial effect on liver cells regeneration and detoxification will speed up, and its effects can help the skin lessen its burden. Betalains in beets, quercetin in apples, and glucosinolates in cruciferous and leafy vegetables are sources of phytonutrients. A raw fresh juice is rich in potassium, calcium, magnesium, natural sodium that is needed for liver function. Iron, selenium, manganese, copper, and zinc can help the skin be smooth and flawless. Vitamin C, an essential to have a flawless skin. Its ability to maintain the collagen results to a soft and flawless skin. Vitamin C deficiency can lead to fine lines, wrinkles and skin aging. Vitamin B maintains the health of the skin. Niacin deficiency and B6 deficiency can cause changes to your skin’s appearance. Vitamin A, D, K absorb the healthy fats. *Monounsaturated fats can help your skin be smooth and moist. An extra virgin avocado oil in your juice can be a source of it. Your skin will glow and become smooth since carrots are a good source of antioxidants, vitamins, and minerals. Beets with other vegetables in a juice is the most effective way to help your liver recuperate. As the beet cleanses your liver, it also regenerates its damaged cells. It is a source of the trace mineral, silica which can give you a glowing skin, strengthened hair, and healthy nails. Celery highly cleanses, alkalizes, and detoxifies your body. Kale is a good source of nourishment—minerals, vitamins, and phytonutrients and in no doubt, this definitely helps your skin be beautiful. Cucumbers are rich in silica and trace minerals. It reduces the inflammation of the skin thus promotes skin softness, and hair, and nail strength. Cucumber hydrates cool and alkalizes thus it eliminates the toxins. Undigested proteins is a potential cause of problems of the liver and skin, but with the help of an enzyme named bromelain that can be found in pineapples, it breaks down the undigested proteins. A tomato is high in lycopene which protects the skin from UV damage, other benefits from tomato is it is good for the heart. Papaya is highly recommended for soft and flawless skin since it contains various kind of minerals and nutrients. Papaya is a good source of vitamins— vitamin E, vitamin C, lycopene, betacarotene and papain that breaks down the inflammatory protein products. Lemon aids in digestion, detoxifies and eliminates toxins, and it has an alkalizing minerals and an antioxidant. The vitamin C found in lemons produce bile for fat digestion. Lemons are recommended to extract its juice with a juicer and ice cubes should be added to delay the enzymes breaking down in the freshly extracted juice. Apple is rich in antioxidant that reduces the risk on the cancer of the skin. Pectin that is found in apples helps the liver eliminate the toxins. Juicing is a long process to recuperate your skin and liver, drink fresh juices once daily for one to two weeks. Some people prefer to make juices after waking up to energize their day, others want it in the afternoon. Diet programs and fast programs that prefers fresh juices have become one of the popular approaches for weight loss and detox. Have an ultimate juicing guide if you want to try on a diet or fast program, the guide can help you techniques on how to properly make juices and understand you the detoxification side effects. With detoxification your liver and skin starts to eliminate the toxins stored. Detoxification has side effects, especially if you often eat highly processed foods, you will feel tired, headaches, and skin breakouts can be experienced. Take everything slowly, start at a smaller quantity of freshly made juice and gradually increase the amount after a few weeks, this can help minimize the detoxification side effects. Along with the juices, drink more water, have a regular exercise and eat more vegetables to prevent problems in detoxification. What fresh juices can give you a better skin? The ideal vegetables and fruits to juice are mentioned above, yet the thing is blends are said to be better since it has a variation of vegetables and fruits. With blends, the variation of the vitamins and minerals has become broader. You can make your own blends, yet you should not just juice fruits but also vegetables. Remember, juicing takes time since new skin cells are generated. Yet, in the process you will skin that is smooth and flawless. This recipe is full of vitamins, minerals and antioxidants, the effects of it to your skin will be amazing. 1. Mix all of the ingredients to the juicer. *This recipe has 2 servings. The post How to Have Perfect Skin with Juicing appeared first on Beauty Cinch – No Nonsense Beauty Tips. Facial scubs and cleansers aren’t the only means of achieving clear and smooth skin you always wanted. Another excellent way to accomplish that desired skin is investing in body wash! Body washes are becoming expensive considering up to date formulas and dainty ingredients. Some are considered hazardous as well. A considerable amount of latest body washes, including compound based ones contain risky properties that strips off the skin’s natural oils as opposed to hydrating and sustaining it. This results to an aggravated, itchy, and blistering skin. Does the thought of imperfect skin make you flinch? Then consider this rundown of body wash recipes you can create right from your kitchen. It’s time to wash your way to clean, smooth and radiant skin! One essential oil that is distinguished for its beauty benefits is the Olive oil. For starters, it bears an impressive amount of Vitamins A, D, K and E. These vitamins are considered the best in warding off and defending the skin off radical damage. You never have to worry about clogged pores! The Olive Oil Body Wash is natural and deeply cleanses the skin without provoking breakouts. This body wash is definitely a natural moisturizer for that radiant moisturized skin you always wanted. · Begin by liquifying coconut oil. You can do this with a microwave, heating it about 30-45 seconds. · Once it melts, cautiously mix the honey, essential oil and vitamin E.
· Whilst carefully stirring the ingredients, slowly add the liquid castile soap. This purpose is to prevent the formation of suds. · Don’t forget to shake the bottle before using it. Skin issues such as dark spots may be solved with the African Black Soap. This gentle soap and is a widely known natural remedy for dark spots, razor bumps, eczema and getting rid of blemishes. This soap exfoliates deeply, leaving you with a healthier looking skin. It also has plantain extract that possesses antibacterial properties which helps cure acne breakouts. This does not have to be used in a bar-shaped form. There is another clever way to transform this bar soap into something elegant. · Begin by transforming the water and potassium hydroxide into a solution. Don’t be surprised if the solution begins to sizzle because that’s normal. · Put the black soap together with the essential oils in a different crockpot. Heat everything until it gives out a smooth texture. · Transfer the first solution (water and potassium hydroxide) into the second solution (black soap and essential oils) and mix all of them until it thickens. · If you will see the mixture separating, just keep on mixing. · Once it passes the clarity test, secure an 80 oz of water and continue diluting. You may pour an additional water 20 oz if it’s not enough. · Lastly, the mixture must be strained before transferring it into your chosen container. This is important make certain there are no residues. An acne-prone skin needs the two most important things: Tea Tree Oil and Peppermint. These two natural entities possess antibacterial properties with abilities to destroy microorganisms that causes acne. Peppermint gives a calming effect and cooling sensation on the skin, which relieves sore muscles. Its properties also ease aggravated skin. Tea Tree Oil is also known to lighten acne scars. Combining Peppermint and Tea Tree Oil will surely give you the best solution. Say goodbye to dull looking skin! · Transfer castile soap inside a big container together with the sweet almond oil, grapeseed oil, vegetable glycerin, vitamin E oil, and sweet almond oil. · Whisking the ingredients will make everything foamy. That’s normal so just keep on whisking until all ingredients are perfectly blended. · When you’re done with that, include the rest of the essential oils and the colorant. · The mixture must be cool before pouring it to your preferred container. The aromatic and tasty Rosemary also possess potent antibiotic and disinfectant properties. It also carries other benefits such as anti-aging and enhanced immune system. This herb can also cure acne and oily skin conditions. Infuse your body wash with Rosemary to obtain its great benefits! · Begin by making a powerful rosemary tea. In a cup of boiling water, steep 1 tbsp of dried rosemary. Use 2 tablespoons if you are doing this with fresh rosemary. · Put the liquid castile soap and whisk all ingredients. · Transfer the solution into the preferred container. Here’s another ingredient that controls acne. Neem gets rid of those horrid blackheads, pigmentations and other skin imperfections. This traditional folk medicine contains aspirin-like compounds that helps in getting rid of bacteria. Interesting, isn’t it? This body wash also has shea butter which gives skin moisture for hours! Since it also includes lavender oil, this body wash will give you that tranquil effect you need to give you a good night’s sleep. · Begin by granulating the butter. To achieve a fine powder, do this with a blender. Make sure to chop it into pieces before blending. · Fill a big pot with water. Add in the soap and boil with medium heat. · Add the clay once the soap melts. Mix everything until it becomes a consistent paste-like texture. · Transfer cautiously the mixture in a preferred container and don’t forget to always shake to avoid separation. · Once the mixture is cool, you may proceed adding the extract. Perhaps, this is one of the most convenient ingredient out there. Sea salt helps skin to get rid of the dead cells through physical exfoliation. Through deep cleansing the pores, and regulating of skin production It can stop skin breakouts. Moreover, it helps fight acne that causes bacteria. · To make this body wash, you should mix all the ingredients then transfer it to a squeeze bottle. That easy, right? · Get a glass container. Be careful of using plastic containers as this may react with citrus ingredients. · Pour the liquid soap in a container then add the Essential Oils. · Transfer it to a squeeze bottle. · Add the Aloe Vera Gel to your chosen base then mix it with the Essential and Vitamin E Oil. · Then transfer the mixture to a container or squeeze gel. The mixture not only guarantees freshness but also nourishment for the skin because it is infused with Vitamin E and olive oil. Vitamin E helps protect your body against the harmful effects of dirt, pollution, and the sun. Olive oil has antioxidant benefits and enhances exfoliation. Direction: Just mix all the ingredients in any container. Easy, isn’t it? If you are looking for a body wash that is inexpensive yet easy to prepare and safe to use, you can try this concoction. Simply mix all the ingredients together and add a bit of vitamin E to bolster its nourishing properties. 1. Have a foaming pump with you. 2. Pour 1/4 of the bottle with liquid castile soap and the remaining 3/4 with water. 4. Add in 5-10 drops of your preferred essential oil. 5. You can add 1-2 teaspoons of Vitamin E oil. The oatmeal component of this body wash is good for those with sensitive skin as it can soothe itching, rashes, sunburn, and the like. Also, it has rosemary to enjoy its calming aroma. It is best to treat yourself with this body wash before bedtime. 1. Heat a cup of water in a kettle, and then pour the oats and rosemary. 2. Let it simmer for an hour before filtering the water to remove solid particles. 3. In a separate bowl, pour the following: citric acid, honey, oil, and the infusion. 4. Now, add the castile soap until the mixture becomes smooth. 5. Put the essential oil and mix it using a spatula. 6. Store the mixture in an opaque bottle or any other container similar to it. Aside from its relaxing scent, lavender can calm your mind and relieve your stress. This concoction has so much more to offer than its comforting effect. It has Vitamin E for skin repair, oatmeal for soothing skin irritation, and avocado oil for skin moisturizing. 1. Pour the water in a bowl. 2. Add the oatmeal and let it sit for a couple of minutes. 3. Strain the oatmeal and take only its liquid. 4. In another bowl, put the castile soap and all the oils. 5. Get a container. Fill 1/5 of it with the soap mix and the rest with the oatmeal water. Even babies will love this body wash for its thick lather! Not only it is easy to make, but also you can change the ingredients based on your preference. Sounds unbelievable? Read for yourself. 1. Combine all the ingredients in a clean bowl and use a whisk to mix it. 2. Put a few drops of your chosen soap colorant to add color to it. 3. After mixing everything, it can be transferred to any liquid soap dispenser. The post 15 Body Wash Recipes That Can Be Made From Home appeared first on Beauty Cinch – No Nonsense Beauty Tips. The E﻿﻿g﻿﻿yptians back in ancient times used to think of Aloe Vera as a plant that promoted immortality. In modern times, we know that Aloe Vera has a lot of medicinal properties for treating problems such as sunburns and other skin problems. Aloe Vera comes from the Liliaceae plant family. It is basically a cactus plant which can be found in dry environments including certain regions in India and Africa. Aloe is truly one of the first medicinal treatments ever used in human history. When you break off an aloe leaf from the main plant, a clear colored gel comes out. This gel is what you apply to irritated or wounded skin in order to treat it. When scientists finally got around to examining Aloe Vera and its benefits to the skin, the results confirmed that it has numerous medicinal properties for helping relieve various skin irritations. Some of these irritations include dry skin, flaky skin, scalp issues, hair issues, cosmetic issues, and so on. Aloe Vera can even treat more serious skin damage such as burns and cuts. The Mayo Clinic did a study which showed that it can help treat other skin-related health issues such as eczema, dandruff, genital herpes, skin infections, diabetes, cysts, skin ulcers, canker sores, enhanced blood lipids, and psoriasis. The skin has a cell layer all around the body called the epithelium. When you have a sunburn, this area gets damaged. The Aloe Vera works to heal this damage and adds moisture to it as well. As a result, the sunburned skin will heal faster because of the Aloe Vera’s vast supply of antioxidants and nutritional properties. If you’re just looking for a simple moisturizer for the skin, Aloe Vera will do the job without making your skin look greasy. If you happen to use make-up on your face that is mineral-based, the moisturizing properties of the Aloe Vera will prevent your skin from drying up. And if you want a natural aftershave lotion, Aloe Vera can work to heal all those tiny cuts that form during the shaving process. Gibberellins and Auxin are two hormonal properties of Aloe Vera which promote the healing of skin wounds and inflammation. The hormone “Gibberellin” is a growth hormone that helps the skin regrow new cells to replace the ones that were damaged. As a result, the skin will naturally heal a lot faster and leave much less scarring. Not only can Aloe Vera soothe the skin, promote rapid skin healing and act as an anti-inflammatory to it, the aloe will also reduce itchiness and blistering as well. The makers of Ayurvedic medication use Aloe as its main ingredient because of its ability to treat chronic skin issues such as eczema, acne, and psoriasis. Aging causes the skin to lose elasticity and to form fine lines. There are many antioxidants in Aloe leaves such as Vitamin E, Vitamin C, and Beta-Carotene. These antioxidants work to enhance the natural firmness of the skin and to maintain its hydration. The skin is made to be elastic because of human growth. However, when the skin is stretched too much on a regular basis, it can leave stretch marks. Some examples of this would be gaining weight and then losing weight or being pregnant and having your belly stretch out far. Once the stretching is over, there are marks on the skin that form because multiple skin layers were torn from the rapidly expanding and contracting of the skin. To help heal these marks and reduce their appearance, apply Aloe Vera gel to them. There are more than 75 various kinds of nutrients in Aloe Vera. Some of the most vital nutrients are minerals, vitamins, sugars, enzymes, sterols, salicylic acid, amino acids, and more. Studies have shown that Aloe Vera can be beneficial in treating various gum diseases such as periodontitis and gingivitis. It will also treat the symptoms of gum disease including gum swelling, inflammation, and bleeding. Aloe Vera’s properties serve as a strong antiseptic that can clean out areas of the gums where regular cleaners cannot get to very well. It even has antifungal properties to treat problems related to ulcers, denture stomatitis, and any cracks that exist in the mouth’s corners. If you have digestive problems or possibly even ulcers, Aloe Vera can treat these problems. Aloe is often used as a natural ingredient in laxatives which is why some people just like to use Aloe Vera as their laxative. It will help maintain regularity and balance in your digestive system. If you drink aloe-based juice, it can help treat problems such as rheumatism and arthritis. Aloe Vera can enhance the aroma of your breath by lowering the amount of gastric acid in the digestive system. The post Aloe Vera: The 8 Benefits of Using It For Skin Care appeared first on Beauty Cinch – No Nonsense Beauty Tips. What is the Best Body Wash For Sensitive Skin? Being born with sensitive skin is a problem millions of people deal with around the world. Taking a shower with your average soap bar can leave their skin prickling which can lead to them having outbreaks. The chemicals that most soaps have that cause these ugly rashes include parabens, sulfates, aluminum, triclosan, and phthalates. These ingredients leave a person with sensitive skin feeling clean but extremely uncomfortable which is why they end up looking for other bathing alternatives. Two of the solutions they end up experimenting with are artificial fragrances and synthetic dyes. Unfortunately, those two options produce the same results, so they explore organic products. Most of the organic products have natural essential oils in them which also leave hives and spots. Taking a shower should be something we all look forward to after a long day at work, and people with sensitive skin should have the same right. That’s why we spent a few hours getting together a list of the best body washes for sensitive skin. These body washes have only the purest of ingredients that cause no side effects so feel free to pick whichever on you like. A lot of body washes contain alcohol which causes the redness you see on your skin after a thorough shower. You will not have this dilemma with the Sensitive 3 in 1 body wash by Nivea for men. We voted it the best body wash for sensitive skin on our list because it cleans your body and leaves you feeling fresh with soap-free ingredients. Although the bottle says it is for men, I know a lot of women who use it and the scent is not strong, so you will not have to worry about smelling like a man. The smell is semi-sweet, and when you apply it on your skin, you won’t have any debris left that will rub off on your shirt. My favorite ingredient in this body wash is the bamboo extract which is known to provide numerous skin health benefits. The bamboo extract has a ton of antioxidants and qualities that accommodate people who have sensitive skin. Because this is a 3-in-1 product, you will also be able to wash your hair with it. In the past, I have attempted using this as shampoo, and my hair didn’t feel dry at all. I went a few days without having to wash my hair again, which means you will save a lot of time and money. Lastly, Bamboo extract helps the dead hairs fall out and rejuvenates your scalp so new hair follicles can grow. If you want a body wash that is odorless and doesn’t affect people who have allergies, then this is the product you should choose on our best body wash for sensitive skin list. It is smooth so your skin is cleansed gently and the moisture is absorbed without causing you any irritations. The key ingredient that makes this body wash so powerful is its Colloidal oatmeal content. This element defends your sensitive skin from the environment for the entire day so you can focus on having a productive day at work. The benefits of oat baths have been around since the reign of the Romans and the Greeks. They would use oats to treat people with skin problems and the doctors of those times would write that many people were healed. Unlike other body washes on the market, this Aveeno product doesn’t have dye or soap that would cause your skin to breakout. Instead, it has something called an emollient which helps when you need your skin to feel softer. Emollients act as protective shields for the entire day while keeping your skin nice and moist. Those who have issues with the pH levels of their skin will be happy to know that Dermatologists recommend this body wash to help restore those levels. The Amazon reviews are in, and customers can’t get enough of this highly rated body wash. Dermatologist recommend it above all others on the market because it is soap-free and hypoallergenic. This body wash boasts a patented technology called NutriumMoisture. If you are a person with dry skin, your skin will feel moist almost immediately after taking a shower. A good friend of mind likes to use it, and she is satisfied how quickly it absorbs into your skin. Like the second product on our list, you don’t have to worry about any white residue from the body wash staining your favorite shirt. Once you wash it off when taking a bath, it just disappears and leaves behind smooth, silky skin. There guarantee one that most brands aren’t confident enough to make. They assure you that you will get quick results or you can return your bottle. Lastly, this body wash comes in a pump bottle. I love these because they make it so convenient to get the soap out of the bottle by just using one hand. Supporters of products that come with all natural environmentally friendly ingredients will love this body wash on our best body wash for sensitive skin list. It is a favorite of vegans everywhere because the body wash is cruelty-free. Ingredients included in this bottle are aloe vera and olive oil which are perfect for people who have issues with dry skin. This body wash also has lavender, jasmine, and bergamot in it for a scent that will make you feel relaxed. The pump bottle is a great touch because it makes life convenient and once you are done, the materials can be recycled. This bottle is massive which means you will be using it for a very long time before you have to buy a new one. They call this product Kiss My Face because of the way you smell after using it. Kiss My Face put a lot of effort into making sure that you would smell great while feeling relaxed by adopting tips from specialists in aromatherapy and hydrotherapy. Also, a unique element was added called Allantoin. It helps accommodate people who have sensitive skin and need their skin to feel moist throughout the day. Lastly, you would be supporting the American market by purchasing this product because it was made domestically. This body wash is the last on our list but should not be underestimated. It is another product that Dermatologists love because no alkali or soap was used to make it. If you don’t know what alkali is, you should take the time to know about it because many body washes use it. It is a chemical removes the lipids that protect your skin which means any products that include this ingredient can cause you to have high levels of skin irritation. With this body wash applied generously on your skin, even your pores will be cleaned because of its non-comedogenic nature. It is so tender on your skin that it can be used on your face without having to worry about waking up with red marks. It can be stressful when you’re in the store and going down the soap and body wash aisle because there are so many different brands of body washes and soap bars to choose from. Most people wonder if body washes will be more effective for cleaning their skin than soap bars would. Well, let’s examine each one. Body washes have the ability to easily generate a thick lather for washing dirt off your skin. Soaps also have the ability to generate a thick lather too. The common theory that most people have is that the lather from soap is better at removing dirt than the lather from body wash. This is not true, although people still seem to choose soap over body wash because they think the harder substance provides a more thorough cleaning. Since body washes come in liquid form, they are much gentler on the skin than hard soap bars. Plus, body washes contain lots of moisturizers in them for moisturizing the skin while soap bars do not. The gentle solution of the body wash prevents natural essential oils in the skin from being removed during the washing process. This is the most important factor to consider. To use a body wash, you just squeeze the bottle and the solution comes out. With bar soaps, you must hold them tightly in your hand but then be subjected to the soap constantly slipping out of your hand. If the soap bar has turned small enough, it could wash down the drain in your sink or bathtub. On the other hand, body washes are not environmentally-friendly because the solution is placed in non-biodegradable bottles. Body washes also create more waste in the environment and cost more money to produce because of these bottles. Be careful not to get tricked by body wash labels which state “unscented” because that doesn’t necessarily mean they have no fragrances in them. Instead, it could indicate that fragrances were used for the aroma of the body wash instead of a natural scent. Lastly, avoid the chemical “sodium lauryl sulfate” because this will remove the protective barrier of the skin. There are so many body washes and shampoos which have this ingredient in it so you will need to shop around carefully for a body wash that doesn’t have this ingredient. Any antibacterial body wash or deodorant will automatically need to be disregarded. Overall, you never want to exfoliate your skin too much. It is important to sustain the protective barrier of your skin by applying gentle body washes to it and just treating it gently in general. This means taking short baths or showers with lukewarm water. Also, do not use washcloths because they are tough on the skin. Use bath poofs instead because they are soft and smooth on the skin. Our recommendation for a great body wash for sensitive skin is Sensitive 3-in-1 Body Wash by Nivea Men. The post What is the Best Body Wash For Sensitive Skin? 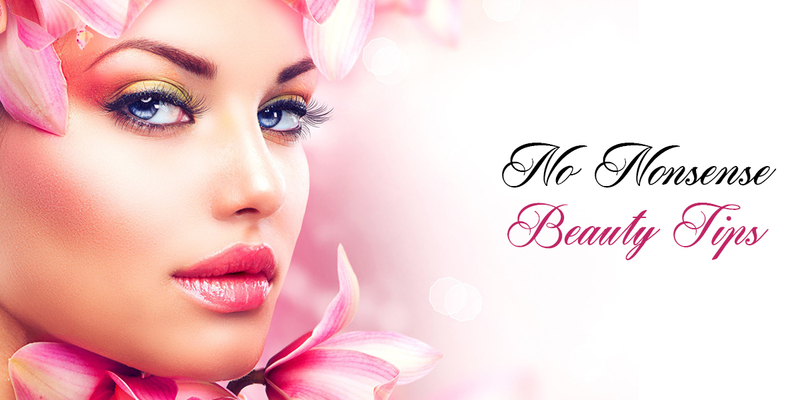 appeared first on Beauty Cinch – No Nonsense Beauty Tips. Hello everyone, my name is Ashley and I am the proud founder of Beauty Cinch. After realizing how much money I was spending on expensive cosmetics and various other beauty related items, I decided enough was enough. There had to be a way to look good and feel confident without spending an arm and a leg to do it. This site is a culmination of hours of research and experimenting on myself to teach you how to look great on a budget that the average girl can afford.